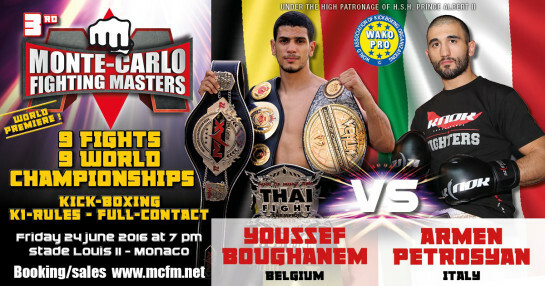 While this friday, june 24 held the 3rd edition of the Monte-Carlo Fighting Master, 9 world championships of kickboxing were represented at the Stade Louis 2. The best boxers in the world were present during this amazing night. 18 fighters were in Monaco (17 world champions). All fights were important, but a fight was still highly anticipated, Chingiz Allazov (Belarus) against Enriko Kehl (German) who disputed the k1-rules world championship Wako pro super welterweight. Belarus has once again shown his abilities and his talent by winning by KO (right hook) at the very end of 5th recovery after making a perfect fight.